The Braid primitive was introduced to make it easier to create pony tails, beards and any other hairstyle that might need braiding of some sort. Like with Feathers it consists of a Maya node for visual creation and the ability to import the result into a Yeti graph for rendering or conversion into Fibres for additional tweaks. 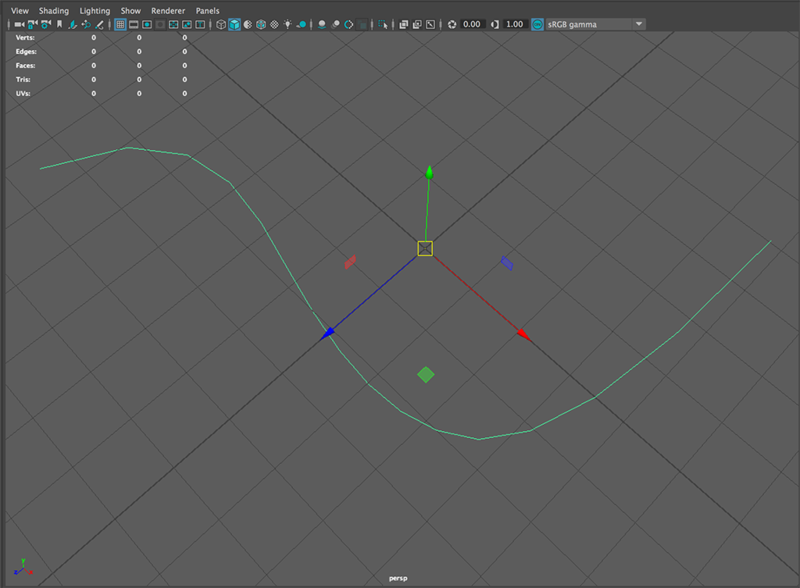 Braids require an input curve which acts as the spine of the braid, so the first step is to create a curve in Maya which can eventually be rigged for animation/simulation purposes. With the curve selected you can use the Create Braid icon from the tool shelf which will isntanciate a new Braid ndoe and you will see the default output in the viewport. 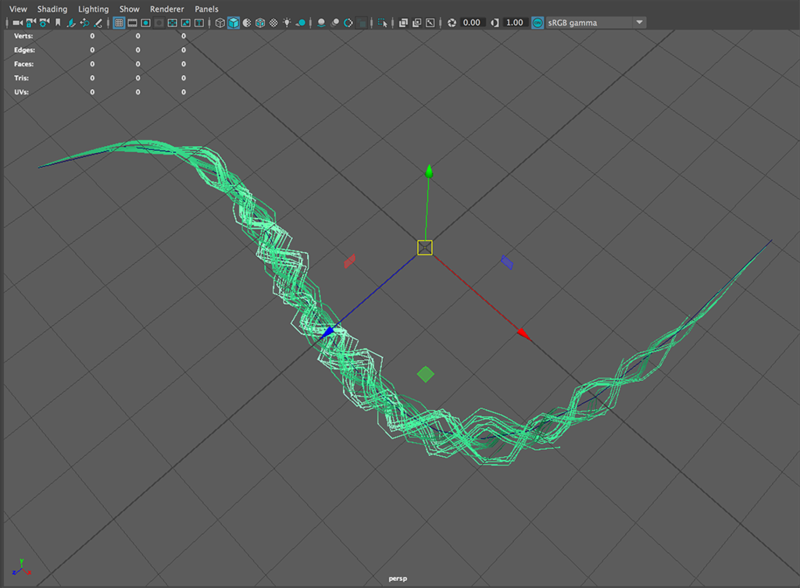 As the Braid is completely procedural you can move the input curve and the Braid geometry will update accordingly. Once you’ve created the input curve and it’s in the shape you want, you can use Save Guides Rest Position to bake it’s current length and reference position onto the shape so the braid’s geometry maintains it’s desired shape when deforming. 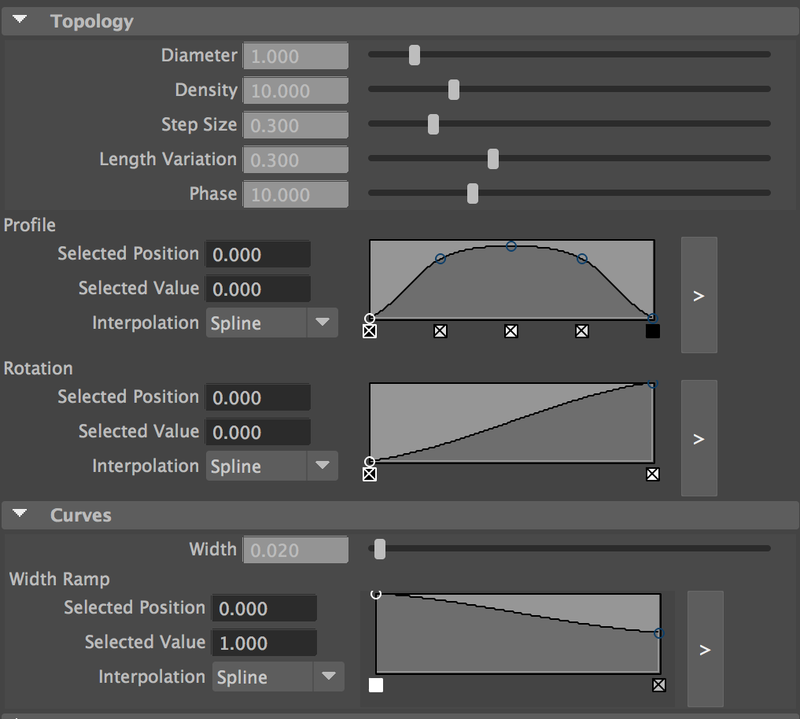 Once the Braid geometry has been created the braid can be editing via the Attribute Editor for more details. Diameter Controls the overall diameter of the Braid, this also affects the number of generated fibres as the larger the overall diameter the more fibres are needed to fill the volume. Density How many fibres are created to fill the Braid volume, this is tied to the Diameter parameter. Barb Base Width Width at the base of the barb, if left at 1 the barb will use the computed packed width. Step Size The segment size for the generated fibres. Length Variation How much each generated fibres length may vary. Phase Defines the phase, or how “long” each wrap in the Braid will be. Profile Defines the shape of the Braid profile along the length of the input curve. Rotation Controls how much the Braid components wrap along the length of the input curve. Width The overall width of the generated fibres. Width Ramp A curve used to define how the width of the generated fibres will change along the length of the fibre. 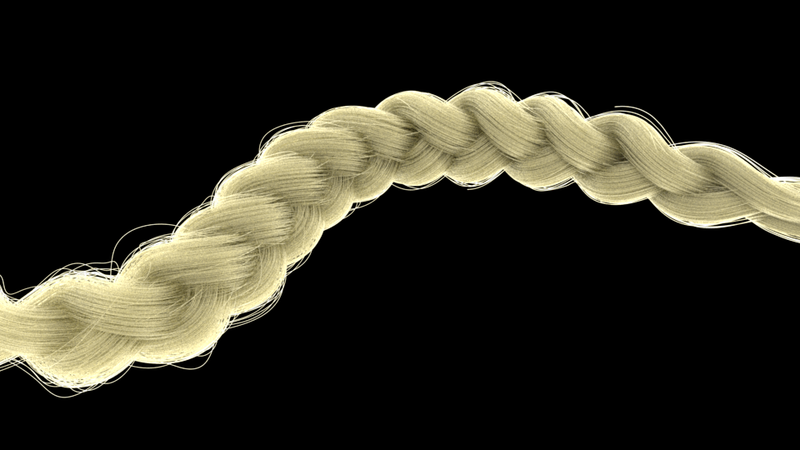 To render a Braid you will need to import it into a Yeti graph, once imported you can leave the Braid geometry as is and it will be generated/expanded at render time - or you can Convert the Braid to Fibres for additional modification.